Tata Motors have launched its Sports Utility Vehicle (SUV) named as TATA ARIA on 5th of January 2010 in an auto expo in Delhi. It came in the customers touch on 12th of October 2010. It itself produce a composite culture of a Multi Utility Vehicle and a Sports Utility Vehicle. The outer body or mostly called the exterior design is seemed to be so attractive, that the viewer can’t keep himself without touching once. Tata Cars are just known for their quality of costumer care in all aspects of servicing. Aria consist of 3 rows which are adjustable as well with comfortable seats to be sit ,so that the person sitting on it just feel like his journey will bring the plenty of comfort as far as the comfort is concern only. If other tactics is to be taken place than we came to know as it also consists of 6 airbags which themselves provide full safety to all the people sitting inside the Sports Utility Vehicle. This model itself proved as the heartthrob of the youth as well.If Tata Aria Price is to be concerned to be around Rs. 10lakh -15lakh as its all models is to be concerned after the discount of Rs.1.42 lakhs almost. The price of the basic model known to us as Aria Pure LX 4x2. Is hitting the Ex-showroom price in India with around Rs.10,38,800 and the Top model known to us as AREA Pride is hitting the Indian market with a Price of Rs. 14,77,800. 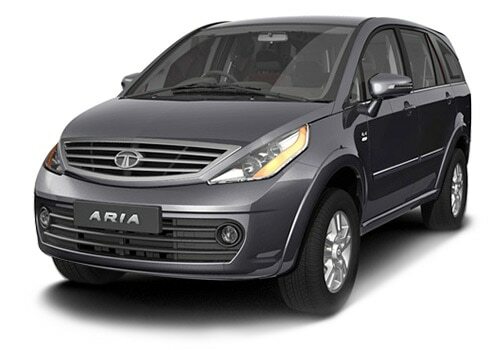 If mind is to be context on the salient Tata Aria Features consist of Imposing head lamps , Dual air conditioning Electrically Retractable & Adjustable ORVMs, all wheels disc brakes , Driver Information system, Cruise control,Un-dash built in GPS, rain Sensing auto wipers , seating flexibility . Its top Speed consist of around 180km/hr, fuel type consist of Diesel Tank. This model having a displacement or engine Capacity around 2179cc. It has a minimum turning radius of around 5.6 meters as well. Going through the Tata Aria Pictures you people find it as true as its feature describe .The amazing sharpness while giving such a marvelous design will definitely block the blood of your for some time. It seem to be a Eye pleasing art by itself made by the country’s premium automobile brand which still provide us such type of model with such a great grace and potential as well and Tata Nano eMax green eco-friendly car by Tata.